Sadly, about 30-50% of the Western world's food is thrown away. Personally, I waste about half of my food, due to poor fridge management. I forget what I have bought and find expired food located in the back of the fridge all the time. It's very annoying from a time perspective, as I have to waste time (and money) by replenishing the things I throw away. How can I manage my fridge's contents better? What's considered best practice? browse the net for interesting recipes that require some of your soon-to-be-expired ingredients, write them down/print them and put on your kitchen desk/table/fridge/wherever you will see them often. Tracking what's inside the fridge with dry-erase decals also seem good, but probably takes a lot of time to manage properly. Keeping your fridge uncluttered is definitely good. Grouping similar food types together in a refrigerator to increase the awareness of available foods has scientifically been shown to be useful. Practice FIFO. It stands for First In, First Out. When unpacking groceries, move older products to the front of the fridge/freezer/pantry and put new products in the back. This way, you’re more likely to use up the older stuff before it expires. Understand expiration dates. Turns out those expiration dates don’t always have to do with food safety; rather, they’re usually manufacturers’ suggestions for peak quality. If stored properly, most foods (even meat) stay fresh several days past the “use-by” date. If a food looks, smells, and tastes okay, it should be fine. If any of these elements are off, then it’s time to toss it. So I’ve just put a system in place for this, it appears to be working okay. My plan was to reduce the amount of food that goes bad in the fridge, and, as a secondary goal, to eat a wider variety of foods and make sure that I washed up after myself and so on. 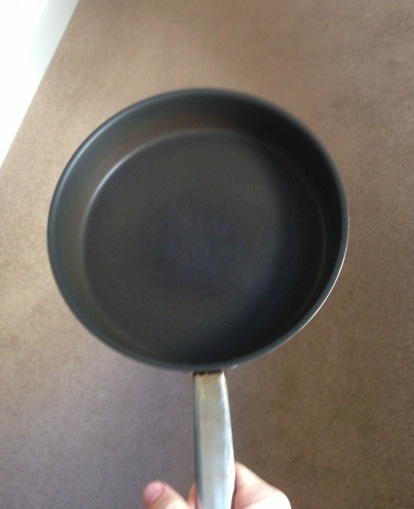 I also made two lists, one for things that I must do before I go and get the pan and one for when I put the pan back. Make sure that you have containers available for storing leftovers. (I had/have a bad habit of making enough food for several days and then absent-mindedly eating it all that evening. Make sure that you have out all your ingredients before starting cooking (prevents me from finding out that I had to go shopping halfway though cooking. 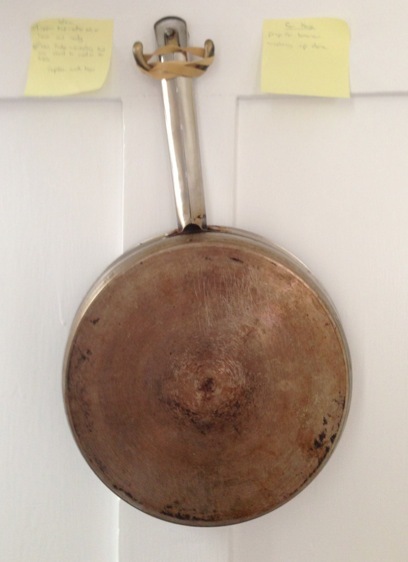 Leave house keys on hook (this means that I always remember to put the pan next to the list afterwards). This has vastly reduced the amount of food I waste, it’s reduced the amount of energy I waste (no more getting quite a long way into cooking without finding I was missing a key ingredient, and given me a more balanced and better organised diet — there’s much less time spent on cooking because I’ve been able to have more leftover lunches and I've been able to pre-soak a lot more things to reduce cooking. It’s been really effective. Here is what I do. I throw very little away if I am managing the food. This can keep waste down well below what people consider waste. It takes some trial and error to get right (no onion skins can't go in the stock bag and neither can squash skins), and those can be costly in terms of throwing stuff away but once you get it, this leads to hyper-efficiency in terms of food (throwing away less than people would if they ate everything they cooked). Focus on fewer more re-usable ingredients as your staples. These include things like onions, cabbage, and other relatively long-keeping vegetables (onions don't need to be refridgerated, cabbage can last a long time in the fridge). Buy many other things when you need them (like meat). 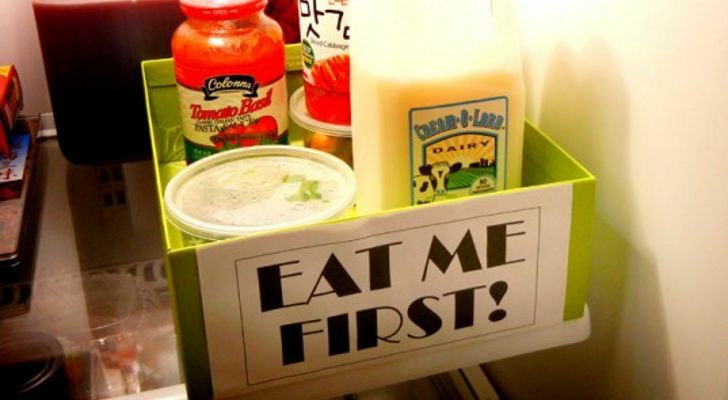 This gives you fresher food and better awareness of what is in the fridge. My own primary staples tend to be beans (various kinds, dry), cabbage, onions, garlic and garlic. I try to keep all of these around all the time. I tend to buy tomatoes when I want to use them. Keep in mind if I am by myself I can go through cabbage between one head in a couple of days to one head in two weeks, so having two heads of cabbage in my fridge is usually a good thing since it keeps well. Other things like tomatoes, other veggies, meat (when I don't have it in my freezer from local farm purchases), etc. I buy for the meal I want to cook. This means shopping every few days. Rely on the freezer more for left overs. This lets you cook larger batches and re-heat when you want to. I frequently cook 10 to 15 meals worth of food at once. Some of it goes in the freezer. Sometimes I eat it for a week, but if you rely on your freezer you don't have to eat it for a week. Keep a stock bag in the freezer. In it goes onion and vegetable ends (but not lots of skins), bones, cooked meat leftovers I don't get to within a week, etc. When it gets full, I put it in a pot with water and boil to make a broth. The remains go into the compost, and the stock goes into the freezer. What I find is that if more of my fridge is used for staples, and less is used for short term ingredients, I throw a lot less away. I also eat a lot more cabbage and that can't be bad..... I also cook less frequently and rely on leftovers more. The freezer can be used to enforce variety. I think Western kitchens have a much different focus on foods, as well. Meat is often the center of many meals, for instance. I find efficiently storing (freezing, thawing, cooking, storing prepared meat) to be difficult to manage without waste. Your choice of foods can dramatically decrease your waste. I recommend using more curries (stored as curry pastes with a long refrigerated life), soup stocks (dry bullion, frozen stock from previous vegetables), and high nutrition grains. These can be prepared in batches of varying size so you can accommodate those days where you're just peckish, have guests, etc. They also have the benefit of being "catch all" dishes where you can toss in any leftover vegetables that are close to their demise. As far as increasing your efficiency with meats I would recommend buying in bulk from a local, sustainable source (half a hog, for instance) and immediately dividing it into individual meal portions. As a side note - I was introduced to using curries regularly by Jamie Oliver's books. His focus is on delicious meals for common households, where economy really counts. The report provides only raw numbers, without the information about the particular reasons for throwing food away. But according to my knowledge about patterns promoted in the media and observations of my acquaintances, only a small part of it is the food that is actually spoiled. Most of that is thrown away because the expiry date is reached, someone has cooked too much or, most trivially, is bored with some food and doesn't want to finish it. 1) Never buy too much. Learn how much you are able to eat and how much do you need to buy. Don't improvise in shop. 2) Don't throw food away just because expiry date is reached. Note that the expiry date is made only to remove liability from producers and it's calculated for the most pessimistic scenario of keeping the product (too high temperature, exposition to light etc.). I've eaten a lot of products months, and in some cases (products in cans or jars) even years after the expiry date, and I never had problems because of it. 3) Be disciplined. If you prepare something, eat it to the end. If you can't eat more, wait an hour. If you still can't eat more, store it in fridge. Never throw something away even if the potato cooked the previous day doesn't taste as good as one cooked right now. 4) In case of products that spoil very quickly in kitchen, such as fruits and vegetables, buy them regularly and in small portions that you can eat within 1 - (max) 3 days. 5) Dry bread can be powdered and used for chops or some other meal. 6) Sweet fruits that are rotten but not moldy can be used to prepare a hooch. In worst case it can be used as fuel. 7) Cheese or sausages that don't smell well, but don't stink, can be eaten if you fry them. In outdoor camps, if we find something that isn't looking very well after a few days in the rucksack, we fry that in campfire, without negative consequences. So now I plan the meals for the week and post the plan near the fridge. If on Monday, I plan to cook something that I know produces leftovers, then Tuesday dinner is those leftovers (or something specific based on them) and I actually write that on the plan. For example Tuesday: Slow Roasted Pork, Wednesday: Pulled Pork Sandwiches. And on Monday it will say "pork to marinate" because there's a "night before" step to that roast. The meal list goes to the grocery store with me. If I see wonderful asparagus, that's fine, I'll buy it, but a meal in the next few days get "and asparagus" written onto the end of it. I was surprised how freeing this was. It's like a fairy godmother has helped me out. I'm hungry, it's 5pm, I check the list and there's a good solid idea for a meal I know how to cook and know that I like. And everything I need for it is in the house. That isn't the reason I started doing it - I wanted to throw out less food. I now essentially never throw out raw ingredients that I bought (I sometimes compost CSA veg that I just could not get through due to volume) and rarely throw out leftovers. It's working for me. 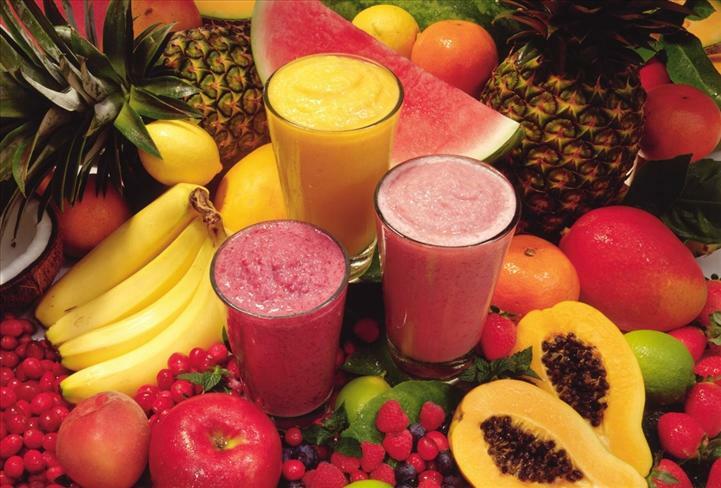 If you have fruits like Strawberries, Mangos, Bananas, put them in the freezer before they go bad. You can use them to make delicious Milk Shakes and Fruit Smoothies any time. There was a period in my life when I almost only used a freezer, and barely used the fridge. I extensively used the microwave oven. This worked out well, and I did not waste food. how [...] freezer and microwave helped you to not waste food? Compared to the fridge in the freezer foods had a much longer lifetime. Freezing them obviously changed the consistency of many and even the taste of a few kinds. But thawing went quick and easy with the microwave. Not the answer you're looking for? Browse other questions tagged electricity food waste-minimisation or ask your own question. How can we detect if a water melon contains artificial colouring?